Located on the lower concourse level of the Sydney Opera House, Opera Bar boasts front-row seats to Sydney’s two most recognisable landmarks – the house and the bridge. And it is this view that earned the majority of votes from readers, with countless comments like “best view in the world”, “spectacular sunsets” and “great location and atmosphere”, submitted time and time again. 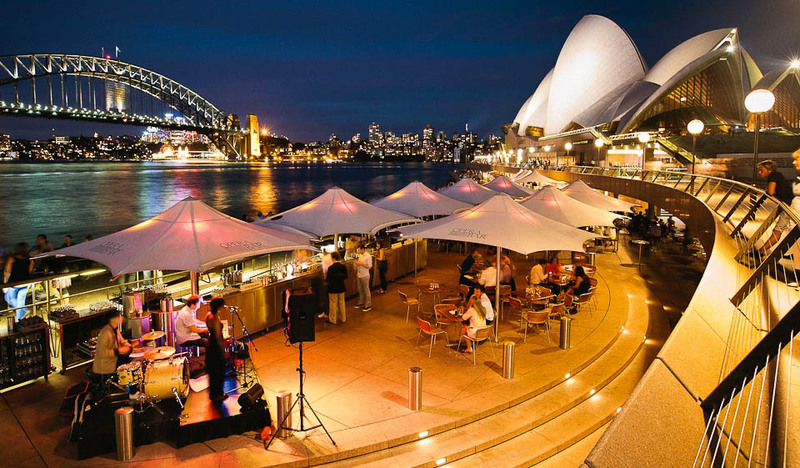 Listed as a finalist last year, Opera Bar has since upped the ante to take out first place, which could be largely attributed to the top service and regular live music performances. The extensive drinks menu is also a major drawcard, offering an array of beers, cocktails and over 45 wines by the glass, with seasonal modern-Australian main courses and impressive tapas-style tasting plates to boot. As last year’s winner, The Ivy (merivale.com.au) is still a marked crowd favourite, followed by opulent Marble Bar (marblebarsydney.com.au), downstairs in Sydney’s Hilton Hotel. In fact Sydney dominated this entire category, rounding it out with the classic elegance of Establishment Bar (merivale.com.au/establishmentbar) in the city’s CBD, and New York-inspired Blu Bar on 36 (shangri-la.com/Sydney), at Sydney’s Shangri-La Hotel.